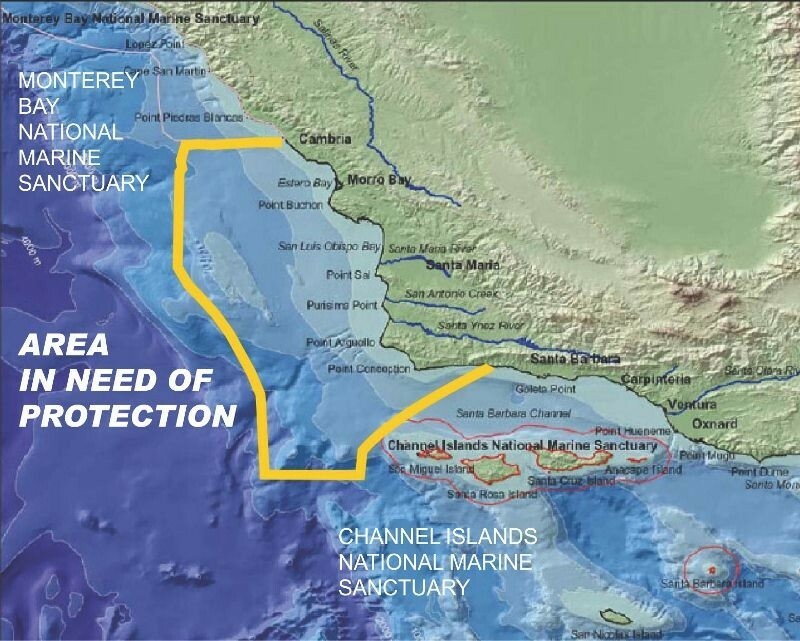 The waters of the proposed Chumash Heritage National Marine Sanctuary (CHNMS) lie between the Channel Island National Marine Sanctuary and the Monterey Bay National Marine Sanctuary. The unique coastline and ocean waters are the most beautiful in the world to the First Peoples and the communities that live along this ecologically rich, biologically diverse healthy coastline, and to many that come from all over the world to visit our coast. These waters are critical to the maintenance of ecologically and commercially important species, along with critical habitat that connects with bio-geographic assemblages that enhance the ecological significance of these coastal waters. Commercial and recreational fishing depend on the ecological balance and protection of the waters for future generations. This entry was posted in Ceremonies, Chumash, Cultural Resources, Heritage, News, Protection & Preservation, Sacred Sites, Thriveability. Bookmark the permalink.